Losing a pet can be just as hard as losing a family member from life. 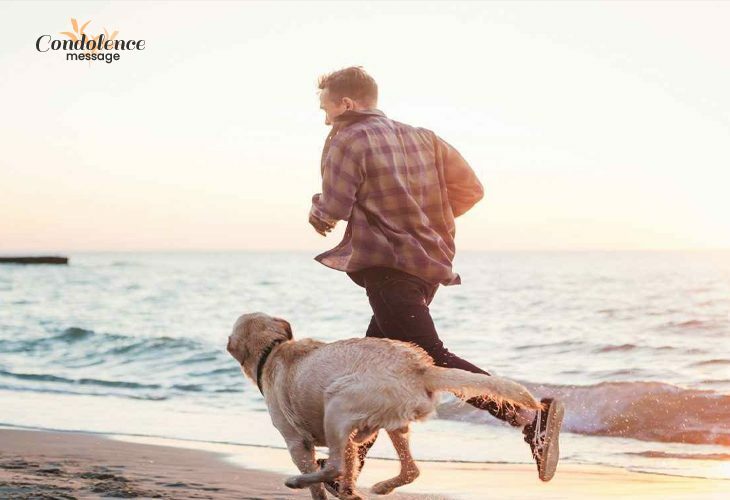 You may not know what to say when someone you know loses his/her beloved pet, so try to acquire knowledge to console a mourning friend without polite behavior. In that situation, try to stand on the place of the bereaved friend and share your condolence by consoling words and generous actions. A cute puppy or a kitten may bring the same smile to your face which an innocent newborn human baby brings. Pets become the most sensitive and loyal friend, as compared to human beings. They are always praised and remembered for their faithfulness and honesty afterlife. 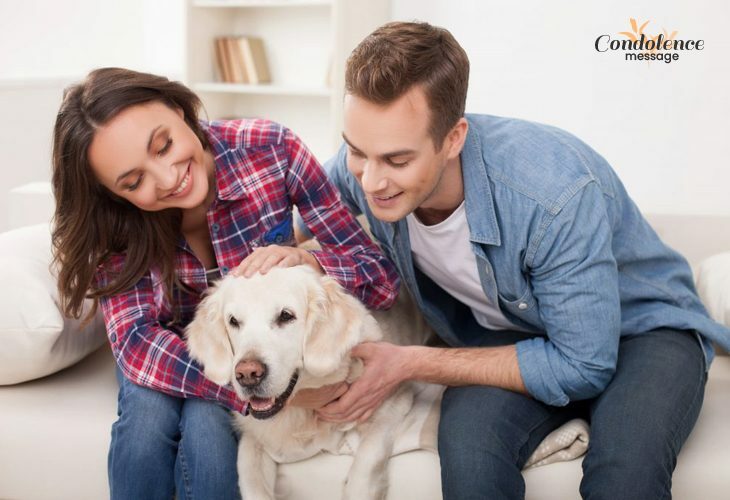 The family routine changes and sorrow are triggered in life after the loss of a pet who is similar to the child of the owner. Accompany them to remove the toys, bedding, food bowls and clean the room of the demised pet if the bereft wants. This may help the bereaved to forget the despair. Listen to the painful words and inner sorrow of your surviving friend and don’t try to change the subject because the distraction may not be liked by the bereft. Make arrangements for the funeral or host the memorial service of the pet which might be the best help to your mourning friend. Cheer up the children of the pet owner. Smile in the face of the children may ease the pain of the parents in that time. Cook meals for the family and also serve. This may reduce the work pressure of the grieving person. Take care of the children and other members of the family if the bereft is in a distressed condition. It might be a great support in the time of grief. Donate a little amount on the name of the pet-oriented charity that helps animals. This will be a noble gesture of respect and love to the demised pet and its owner. Regularly call the bereaved or send a message if you cannot visit his or her place because of any reason. 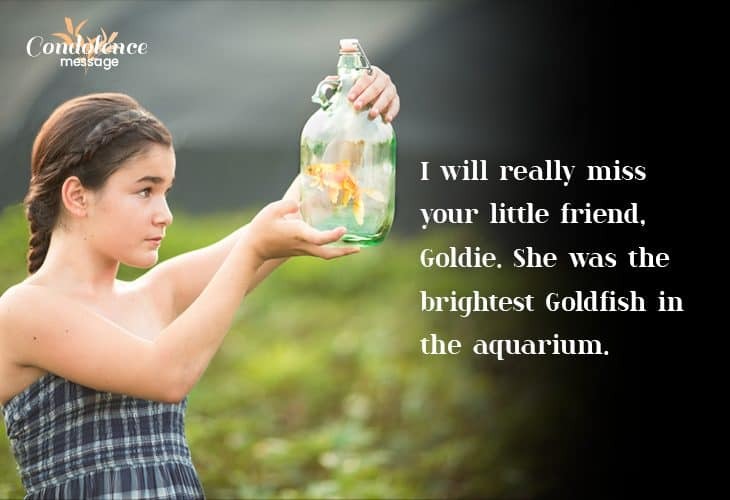 It will show your warm affection and worry for the person who lost his/her pet. Send or carry flower bouquet with condolence letter to show eulogy for the pet. It can be a kind gesticulation for a survivor who lost a pet. Send email or e-sympathy card if you stay far from the city of the mourning friend. It will express your care to the grief-stricken person from a distance. Offer a sum of money on the name of the demised pet; this may show your affection. Plant a tree in the garden or terrace of your surviving friend. The sweetness of the fruits and fragrance of the flower will always keep the memory of the four-legged companion alive. Chant Bible on the name of the demised pet in the house of the bereft and offer prayers. It may provide peace to the innocent soul. You may also write a sympathy letter in a condolence card and send to your mourning friend if you cannot visit his or her house. 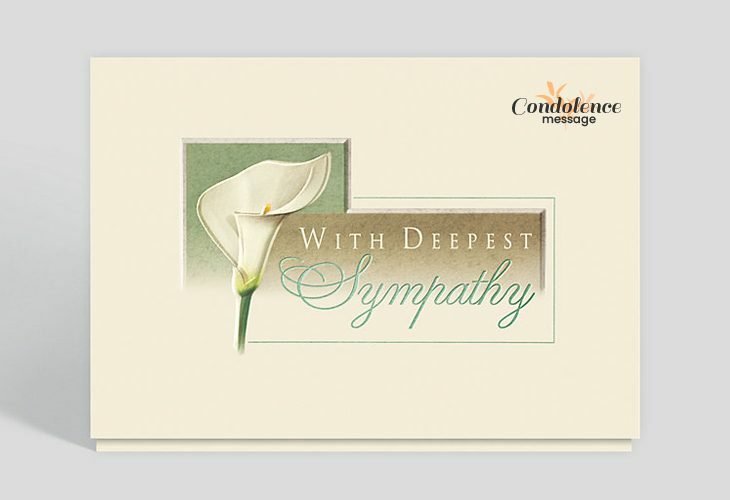 You may also share the sympathy card with the condolence gift while visiting the house of the bereft. 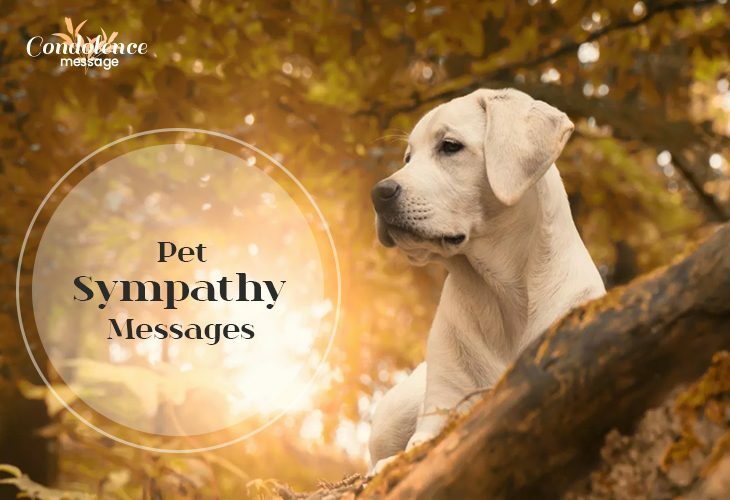 The letter can be formal or personal, but the words of empathy should show the sorrow acknowledging your empathy towards the person who has lost a pet. Take time to write the natural consoling words and express your concern through the letter. I was deeply agonized after hearing the loss of your little pup, Max. He was such a cute and intelligent puppy, and I really can understand he meant a lot to you. He was loyal and friendly to every family member. His memories are engrossed in my heart, and I can’t forget them ever in my life. Please accept the Remembrance Photo Album where you will get many pictures of Max. It will be my honor if I can help you by any possible way. Just call or message me anytime you want. I am really sorrowful to hear about the demise of your cat, Betsy. I know she was an important member of the family and it is hard for you to accept her departure. I heard your kitty was suffering from a severe influenza and veterinary doctors were unsuccessful to recover her. Don’t blame yourself because you have tried your best to save Betsy. I am earnestly regretful to share my condolence. Please call or let me know if you require anything. It will my pleasure to support you. Don’t suggest your friend to purchase another pet immediately. This sounds harsh to the person who was solemnly closed to his or her pet and also shows disrespect to the pet who departed. You should not say, “Stop crying”, to a pet owner who is seriously mournful after losing a pet. Remember, weeping sometimes help flush out the anguish in the heart of the bereft. You should not say, “Your pet is at better place now”. Regardless of how much the pet has suffered, you cannot give an uncomforting comment which may offend your grieving friend who is shocked with the unacceptable incident. Don’t force your distressed friend to get over the incident and lead a normal life. It is not an easy job to do. So, don’t expect an abrupt change from your friend. Don’t make the bereft feel that it’s just the death of an animal. A pet animal is like a child to a pet owner and you cannot disregard his or her feeling by any insensitive word or behavior. “Your pet dog was really getting old and sick”, uttering such harsh words can really be hurtful for the dog owner who nourished it like a child. So, please try to act politely and don’t use the wrong words. Don’t say that the pet lived for many years which is beyond expectation. You cannot judge the longevity of any living being because it’s in the hand of the Almighty. So, whether you like pets or not, don’t give such impervious comment to a bereft. Don’t ignore the sorrow of your bereaved friend by thinking it was just a pet. Remember, you don’t have any right to make views. If you don’t like pets then don’t visit the friend’s house who lost a pet. Time passes and fades the remembrance of the pet, but a few people are unable to bear the loss for a long time. So, as a friend or relative, you may help the bereaved friend to come out from the activities with honest support. Gift the friend with another newborn pet after a few months. This may not fill the place of the demised pet but certainly can act as a remedy to heal the pain. Call or send a message to the mourning person every day and show how you care for him or her. Try to visit his or her home and console the person. Take your friend to social places like movies, shopping, parties, and dinners, so that the friend can try to forget the agony. Accompany your friend with necessary activities in house and market which can help follow the normal routine in life. Invite the grieving friend to your house and try to make them comfortable. Involve your distressed friend to a dog charity association. This may provide solace to the heart of the survivor. Involve the person with other activities like swimming gym or sports. This may help the grief-stricken to remain busy and forget the distress. You may not take away the entire pain of the person who has just lost a beloved pet; but your polite words, behavior, and actions can definitely be soothing in the period of grief. So, apply the above-mentioned points to console your distressed friend who lost a pet.